Is it Wise to Arbitrate a Family Business Dispute? In many states, including Wisconsin, families embroiled in business disputes are now often turning to alternative dispute resolution measures, such as arbitration and mediation, rather that to state or federal courts in order to settle their differences. They are discovering that, in many situations, making a collaborative effort to resolve disagreements makes sense. Indeed, arbitration (or mediation) of family business disputes can offer advantages. Here follows a discussion of some of them. As most people know, the wheels of justice grind rather slowly. Particularly with regard to business disputes, resolution of differences through a formal court proceeding is a drawn-out process. Formal papers must be served on opposing parties in most cases. Allowing for time to answer allegations and handle motions and necessary discovery, most civil actions take significantly more than a year to come to trial. Indeed, that is one reason why so many civil actions are settled: It saves time. Many legal experts say that in many situations, particularly where settlement is likely anyway, the better move is to arbitrate, not litigate. Closely related to speed of resolution is cost. Generally speaking, the longer a civil action is drawn out in state or federal court, the more it costs both sides. Bear in mind that in arbitration, the parties underwrite the proceeding. They pay the arbitrator, for example. In some situations, therefore, it is somewhat cheaper to move through the court system, since the appropriate government body pays the judge and others. Many families discover, however, that a quicker resolution saves money and heartaches. Want to air your family’s dirty laundry? File a lawsuit. With a court-based civil action, all papers filed with the court are subject to public scrutiny. The press can gain access to anything that has been filed; so can your business competitors. Arbitration proceedings, on the other hand, generally are confidential, private proceedings. One of the many unknowns in state or federal court litigation is the identity of the judge who will try your case. In many situations, the judge is determined by the luck of the draw and the length of time it takes to come to trial. In arbitration, the dispute can be assigned to an expert who is familiar with business issues, who may have hands-on experience related to the issues at hand, and who can make just as dispassionate a decision as a sitting judge. Arbitration of family business disputes can be advantageous. It is no one-size-fits-all situation, however. Arbitration can be utilized because the business agreements earlier negotiated and signed contain mandatory arbitration clauses. Alternatively, arbitration can be utilized on a voluntary basis where the competing parties would prefer the speed and privacy that is not available within the state or federal court systems. Whether arbitration is voluntary or compulsory, the common denominator in most successful resolutions is the retention of knowledgeable, experienced attorneys. If you are involved in a family business dispute or other legal dispute affecting your business, it helps to have a strong, experienced, skillful legal team to protect and preserve your interests. 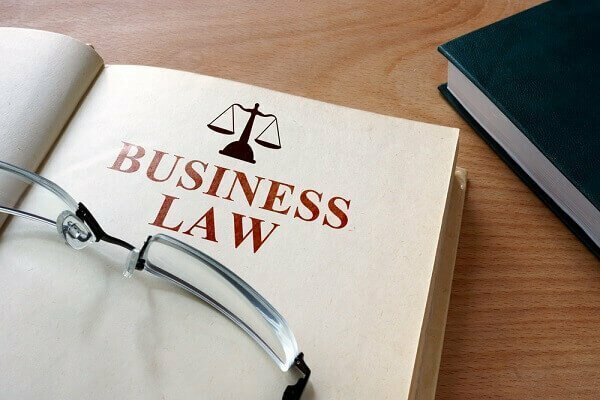 The Milwaukee business litigation firm of Kerkman Wagner & Dunn has more than 50 years of combined legal experience representing business owners and professionals in Wisconsin in complex situations – even those that involve arbitration and litigation. Our firm has big firm talent and provides small firm attention. Call us at 414-278-7000 or complete our online contact form.